Proper lighting is the key to getting “the shot.” Controlling light is a lot easier with the right tools. Different situations require different tools. A bounce flash will go a long way for portraits, head shots, and other situations. Photographing a smaller object is trickier, especially if it is shiny or reflective. 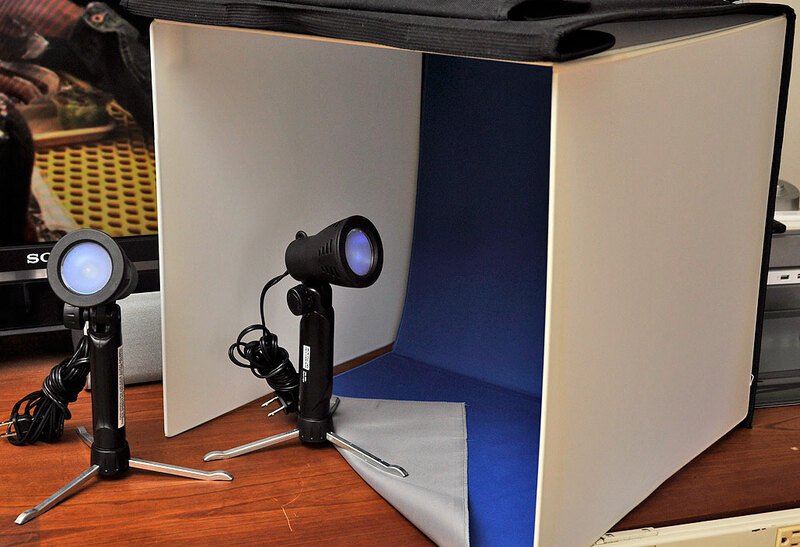 Setting up a space to photograph small objects properly is made quicker and simpler with a set up such as Photo Studio In-A-Box (PSIAB). The “studio” is a portfolio-style casewith pockets to carry the gear (lights, tripod) needed for a photo shoot anywhere anytime. The kit came with two lamps and a light tent. Each lamp has built-in retractable legs, color correction lens, and powered by a tungsten halogen bulb (35 watts, 2800K color temperature). The soft lighting tent diffuses direct light, eliminating harsh shadows and glare. 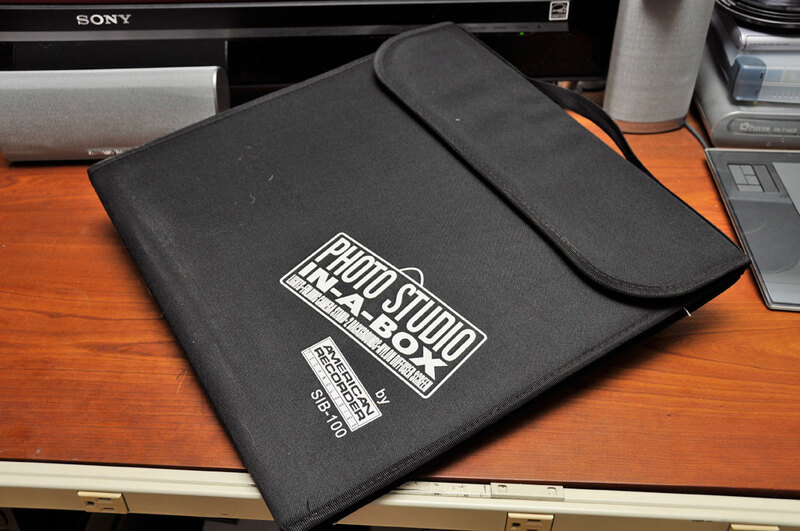 Setting up the studio is quick, easy, and can be done with just two velcro tabs. The background cloth is reversable and comes in a variety of colors. This portable PSIAB is an easy way to control the lighting environment. If you sell stuff on EBay, using a portable lighting studio is one way to make the stuff you are trying to sell more appealing. This desktop studie can also be used to take photos for digital scrap booking, online catalogs, and web design. We’ll have a FirstUse of the PSIAB in the Spring iPad issue of RainyDayPhotography. Look for it in April.